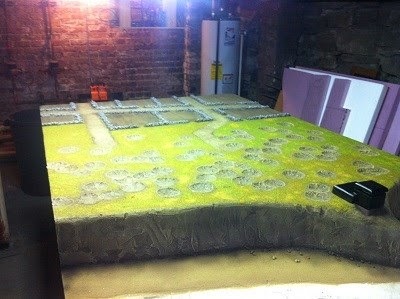 Here's another look at the current progress of one of these beautiful Outpost Gaming Tables, Pointe du Hoc! Once again, this has been taken directly from Battlefront's Normandy Battles Book! 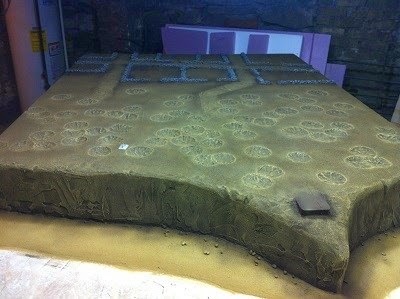 If you want to play on these beauties get a hold of Ken at Outpost Gaming, or any one of the Battle Badgers. 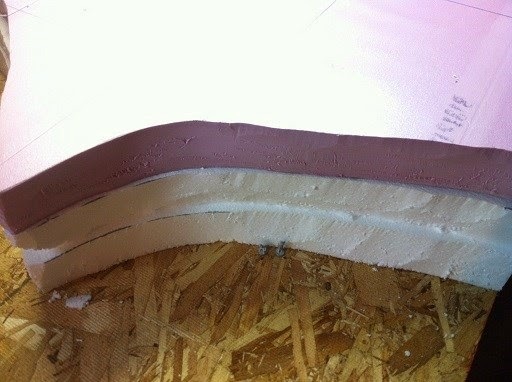 The seams and the cliff face have been slathered in spackle. Paint! We get the browns we use on our bases color matched at the local hardware store to save a few bucks when it comes to painting a big table. 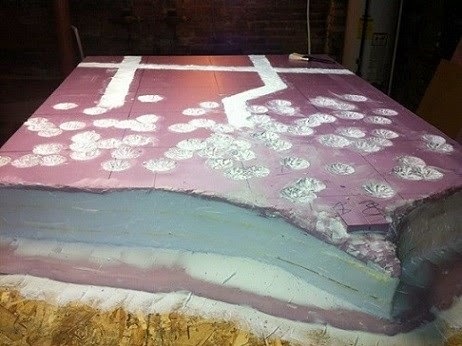 Here she is all flocked up. 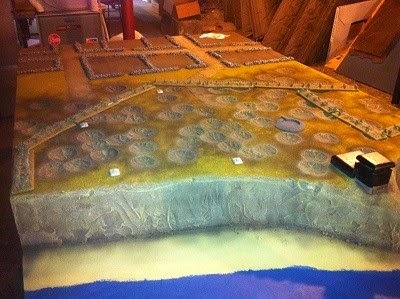 We've still got water effects, bocage, and a big observation bunker to do. 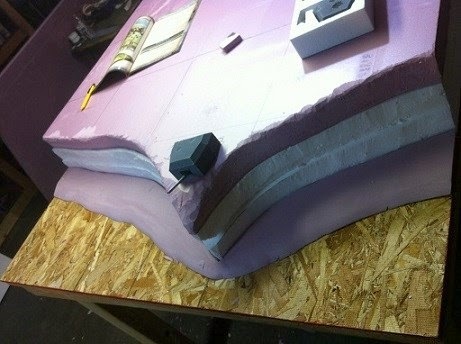 Here's a quick little mock up with our removable defenses. Notice Ken's wonderful airbrush work on the scorched grass.